A Portrait of the Artist as a Young Man is one of the twentieth century's great coming-of-age novels.This Norton Critical Edition is based on Hans Gabler's acclaimed text and is accompanied by his introduction and textual notes. John Paul Riquelme provides detailed explanatory annotations. "Backgrounds and Contexts" is thematically organized to provide readers with a clear picture of the novel's historical, cultural, and literary inspirations. Topics include "Political Nationalism: Irish History, 1798-1916," "The Irish Literary and Cultural Revival," "Religion," and "Aesthetic Backgrounds." "Criticism" begins with John Paul Riquelme's helpful essay on the novel's structural form and follows with twelve diverse interpretations by, among others, Kenneth Burke, Umberto Eco, Hugh Kenner, Maud Ellmann, Joseph Valente, and Marian Eide. A Selected Bibliography is also included. 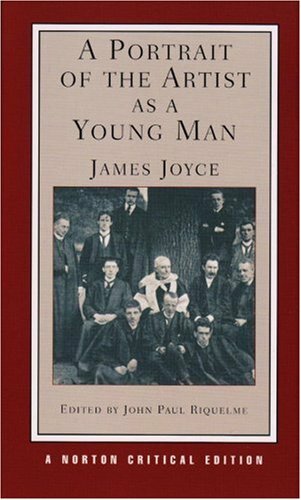 About James Joyce (Author) : James Joyce was a published author and an editor. Some of the published credits of James Joyce include Dubliners (Unabridged), Ulysses.